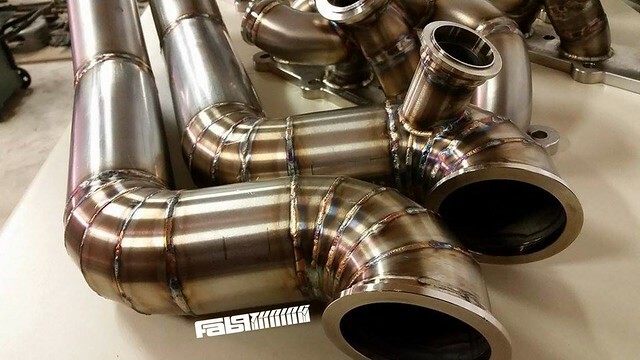 The NEW Fab9 Side Mount EFR Turbo Manifold - Page 7 - Miata Turbo Forum - Boost cars, acquire cats. 2 units shipped today - We have 1 EWG, EFR, Turbosmart setup IN STOCK ready to ship! Can we get some more detail shots of the EWG stub off of the manifold? I'm curious about the angle of the elbow coming off of the collector and how the flow path looks. 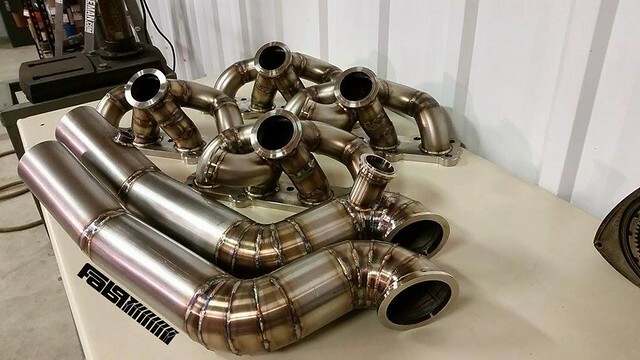 Would it be possible if one were to order an EWG manifold that you could add the stub on the manifold, and order a DP without the EWG stub so that the EWG dump could be merged back into the DP at a shallower angle and include a SS bellows for thermal expansion in the dump tube? Any updates, would love to hear from an owner with AC and PS. 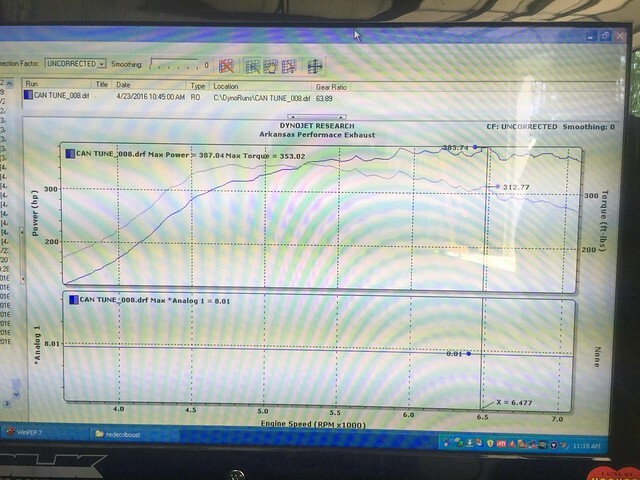 "Got the car on the dyno , made 387 hp and 353 tq car pulls hard ! Ready to turn the boost up soon and see what happens"
What an incredibly beautiful manifold. Yes, via private message, he did update us with this fuzzy screen shot. We will see more updates as he increases the boost. CSF Radiators ON SALE - THIS WEEK ONLY! Promo Code Inside!